We can help you set up a local area network (LAN), wireless network or install an operating system or other software onto a number of computers through a LAN or wireless network. 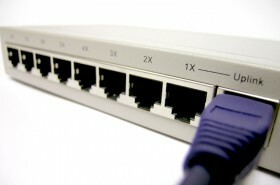 A LAN connects computers located within close proximity (for example, in the same building or neighboring buildings) to each other. It also connects to the Internet, and enables the sharing of files, data, and certain devices, including many printers.